current 11:54, 15 January 2014 720 × 540 (263 KB) Maintenance script (talk) Re-import of lost image; please rewrite old description. 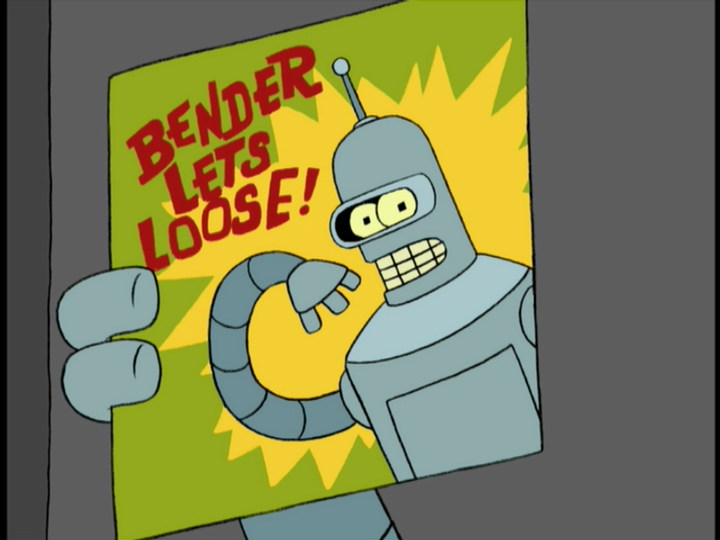 18:12, 14 November 2011 720 × 540 (263 KB) Sanfazer (talk | contribs) To replace "File:Bender Lets Loose.png". This page was last edited on 15 January 2014, at 11:54.